Blame it on the Mandela Effect, but I will never not think of the non-existent Shaq genie movie Shazam every time I see something related to the upcoming DCEU movie. (If you're confused and unaware of the mind-boggling phenomenon, that 1996 movie was actually called Kazaam despite me and most of the internet remembering otherwise.) 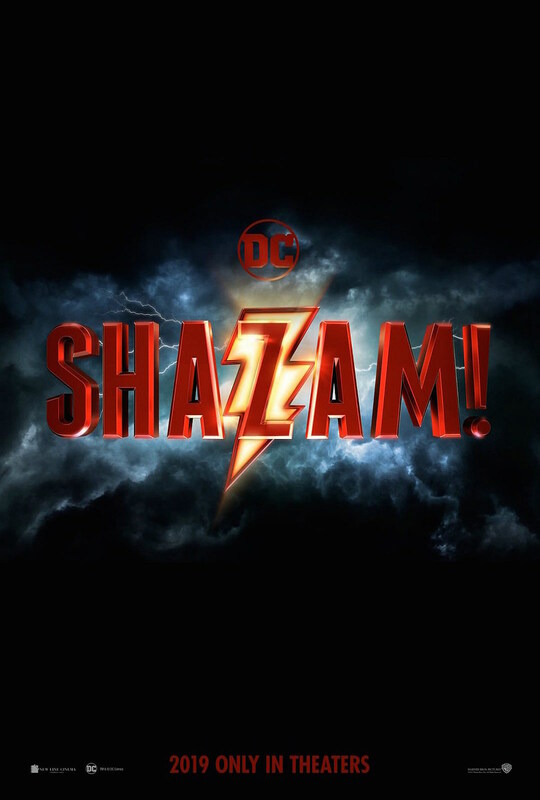 Anyway, the new DC movie, the actual Shazam!, is currently in production and while Warner Bros. has been mum on details, today brings the first official poster. The new one sheet debuted on the film’s Twitter and Facebook accounts Tuesday afternoon, revealing the official logo amid some gloomy clouds. (And just when we thought the DCEU was gonna brighten things up post-Justice League!) The poster looks… fine. I mean, upon first look I honestly thought it was a logo for a new CW superhero show. But hey, it’s not the worst superhero poster I’ve ever seen. We’re likely to get more details, and maybe an official first look, tomorrow during Entertainment Weekly‘s live Q&A with the cast during their set visit. Stay tuned for that. Shazam!, a movie that has nothing to do with a magical Shaquille O’Neal, hits theaters April 5, 2019.